Patterns for girl’s lace trimmed and teen’s shell edge dress slips. Both patterns can be used to sew simple modern summer dresses. 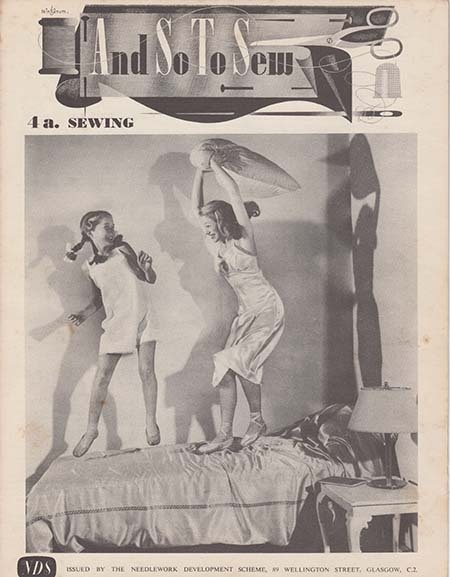 The “And So To Sew” series was initially intended for use in classrooms. Since most of us don’t have a sewing teacher available to us today, I’ve included these modern tutorials to help answer any additional questions.